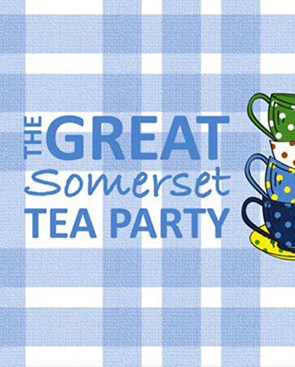 St. Margaret’s Hospice Great Somerset Tea Party fundraising campaign is organised in collaboration with Somerset Day, a not-for-profit initiative supporting and promoting everything great about Somerset. You can hold your tea party on or around Somerset Day, on Saturday 11 May, or whenever suits you. Whether you invite friends round for a natter, a cuppa and cake or challenge the office to the biggest ‘bake off’ seen, you will be helping ensure patients and their families in Somerset facing a life-limiting illness receive the care and support they deserve. Register to receive your FREE tea party pack through the post click on the link on the left.